Whether you are hiring a freelance website designer for your business website or have decided like millions of others to use the much-renowned content management system, WordPress, one of the decisions you must make is choosing a theme for your business website. Your website’s theme is a very vital element that isn’t just responsible for the aesthetic display of your business website but also plays a key role in exhibiting the brand of your business. When settling for a theme that will grace the front-end of your business’ internet platform, there are certain things you must consider if you want your website to be flawless and be without any aesthetic blemish. If you intend to use the popular web building platform, WordPress, for your business website, then choose not to be cheap by going for a free theme. Free themes are very restrictive and limit the degree of customization that can be done on a website. Simply put, a free theme will not grant you the leeway to modify your website and tweak its design until it matches that of your business’ brand. Before setting up the website that will display the content for your business, it is essential that you do your homework and carry out adequate research on the common design templates that are used for websites in your business’ niche. It is foolhardy to start designing a website without looking at the designs used by the trendsetters in your niche. Doing this allows you to tailor your design to meet the readily acceptable standard for businesses in your niche. This, however, shouldn’t give you the license to basically copy the entire design of another business. It is only meant to guide you through the design process by revealing the layouts that are appropriate for your business website. While theoretically, there isn’t any limit to the level of customization that is required for a website, it is important not to go overboard with the design modifications you intend to implement on your web platform. Web users have visited a near-infinite number of websites and have an idea of what type of design certain niches are supposed to have. So, if you fail to tailor your site to the expectations of the target internet users, your business’ website may struggle to get the exposure it needs to become marketable. 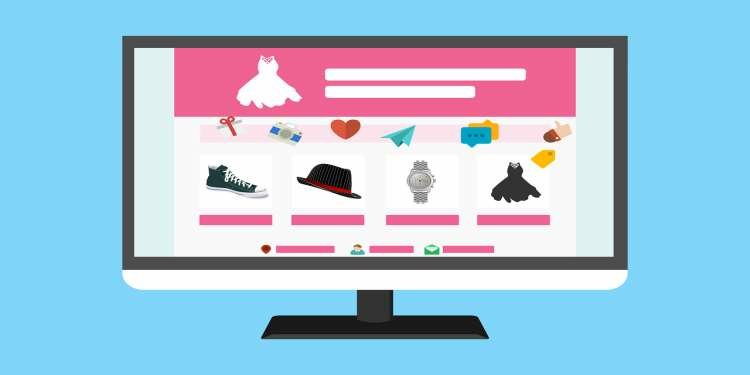 A typical example of this is a website which principally functions as an e-commerce platform. With most internet users also actively engaging in commercial activities on a regular basis, it is smart to assume that they all have a bias for a particular design style. Failing to produce a design that matches the conventional norm is only going to hurt your website’s prospects and ruin your business’ chances of being a profitable venture. If you do not have the expertise to build the ideal website for your business, you can always hire freelancers at any of the online agencies or freelance websites like Vulpith. Vulpith is one of the best freelance platforms for freelance experts who specialize in web design as well as web development, and it guarantees only the best outcome simply because the freelancers are properly vetted before they are accepted on the platform. Even if you intend to use the much popular website builder, WordPress, for your business website, it is still advisable to hire freelancers online, because only an expert can competently implement all the modifications that are required to produce a unique website. Many website designers have also become WordPress experts and are able to use the CMS tool to execute various web design tasks for their clients. The tool has definitely expedited the process of website building and has reduced the relevance of web design experts when it comes to basic website functionality. Nevertheless, if you intend on being a serious business owner, you should not fail to budget a sum for the procurement of web design expertise. It can be indeed tempting to want to create a website that is a visual spectacle and appealing, but you should be wary as to not to overdo it because a website with too much going on in terms of design can be a turn-off for web users. Believe it or not, simplicity is still the most marketable feature of a website with the plain design of the first 20 ranked sites on Alexa proving that web visitors aren’t drawn to websites that are excessively flashy. A basic design with the main colors of your business’ brand should suffice if you want a decent website that has the potential to be alluring. While the design is important, it is the content of your website that will attract visitors and convert them into customers. Web visitors are easily put off by websites that do not conform to the norm in terms of the functionality of their website theme, and therefore your business website should be both highly functional and easy to use. While it is alright to be ambitious, it is just plain naive to equip your business website with functions that are way too complicated to understand and aren’t used in other websites belonging to your niche. Your site’s functionality is what determines the kind of user experience your visitors will get, and if you insist on making it too sophisticated, you may end up losing your prospective customer base. So, stick to basic functions that allow visitors accomplish the important things and incorporate more functional elements, only if they are pivotal to the operations of the business. Selecting a website’s theme is a simple process that requires fewer deliberations; it can, however, result in a disastrous outcome if it isn’t handled tactfully and professionally. Your business website is an important representation of your brand, and hence, it is important that the quality isn’t jeopardized in any manner. Using the right theme for business’ niche is critical to getting the traffic you want. Here is why you should always consider the niche of your business before choosing a theme.